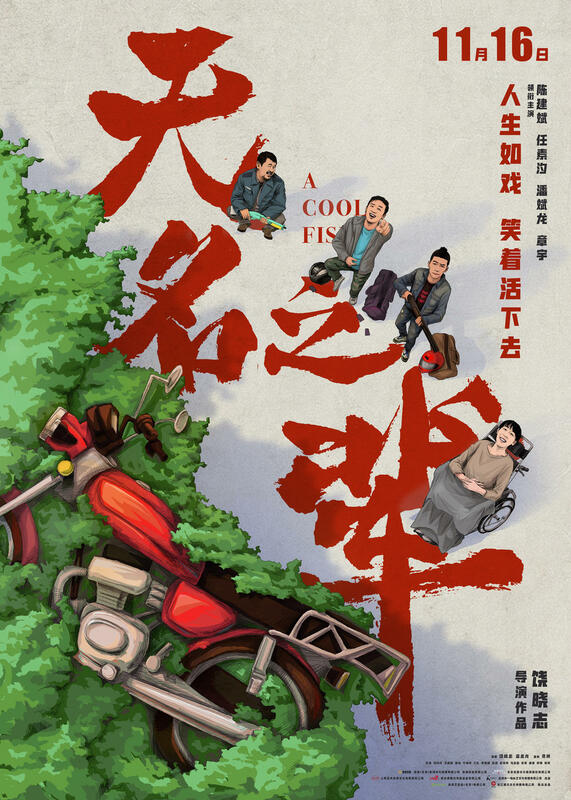 A sleeper hit in China, Rao Xiaozhi’s A Cool Fish interlocks narratives as we follow Cobra (Zhang Yu) and Big Head (Pan Binlong), two hapless criminals who rob a cellphone shop with a stolen gun, run away on a motorbike without knowing the phones they’ve stolen are just non-functioning models for show, and then must keep running away on foot after when their motorbike ends up in a tree due to a clumsy maneuver. They end up in the appartment of Jiaqi (Ren Suxi), a quadriplegic who has given up on life, and is thus not impressed by their attempts at intimidation. Meanwhile, Jiaqi’s brother Xianyong (Chen Jianbin), who was fired from the police and now works as a security guard for property developer Gao Ming (Wang Yanhui), sets off to find his lost shotgun, which is none other than the one used by Cobra and Big Head in their attempt at a robbery. And Xianyong’s daughter, who harbors a world of resentment against him, is trying to cool down her boyfriend Xiang (Ning Huanyu), the son of Gao Ming, who wants to go up against the loan sharks who are threatening his father.